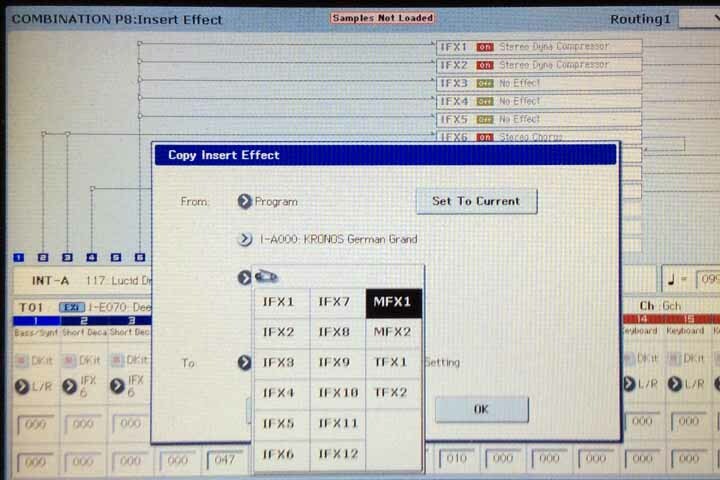 When copying a program to a combi, is it possible to also copy its tfx/mfx but as regular IFX? I'm always stuck doing it manually. Pretty sure I tried everything. In Page P8, IFX, you have the command Copy Insert FX in the Page Menu Command. (see page 166 Parameter Guide) and in P9 you have Copy MFX/TFX in page Menu Command. When copying a program to a combi, is it possible to also copy its tfx/mfx but as regular IFX?. What Liviou2004 said. MFX and TFX are available in the selection screen.